This grenade was developed for SOE use. It had a No.247 "Always" fuze fitted on top. 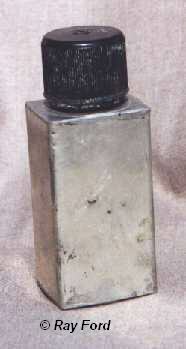 The base had a universal fuze well to fit several types of fuzes. This way it's both a grenade and a demolition charge. "Normal" types had the top and base soldered on the outside. Issued grenades have no markings or labels at all, which is normal for SOE equipment. The grenade shown in the photo is a prototype owned by Ray.